Some of the services are offered for fixed fees. Top Divorce Lawyers and Family Law Attorneys in Langhorne-Newtown, PA and Doylestown, PA, Bucks County, Pennsylvania. Bucks County Family Law and Divorce Attorney Kevin Zlock celebrates the 25th anniversary of a very successful career as one of the top family law attorneys in Bucks County, Pennsylvania. Attorney Kevin Zlock is a founding partner of Zlock & Coverdale, PC. The firm has offices in Langhorne-Newtown, PA and Doylestown, PA. Kevin received his J.D. degree from the Dickinson School of Law at Pennsylvania State University in 1990. Previously, he received an undergraduate degree in History from Lehigh University. Kevin's practice focuses on divorce, custody, support, and property division issues, with the goal to resolve matters outside of court, but he is ready to litigate, if necessary. His wealth of experience allows him to provide clients with an understanding of how to structure and negotiate divorce settlements and to help them to determine how they should handle their assets and investments during divorce proceedings. Kevin assesses the short-term and long-term effects of dividing property, as well as of paying or receiving child support, spousal support/APL, and alimony. He creates a road map with the client's full participation to achieve satisfying results at the end of the divorce. In order to tailor his approach to the individual client's situation, attorney Kevin Zlock reviews his client's goals for life after divorce, which review includes determining earning potentials, projecting earnings on investments, collecting asset and expense data, and determining whether the client can assume the expenses of the marital residence, if desired, and if staying is not feasible or desired, calculating what the client can afford. In cases involving divorcing couples with children, he guides clients and assists them in determining what child-specific expenses they should anticipate when dividing the property, in terms of their children's educational expenses (before and during college), childcare expenses, etc. Ms. Coverdale received a J.D. degree from the New York University School of Law, ranked number six in the country by U.S. News & World Report. Ms. Coverdale's practice focuses on strategy and litigation support for high net worth individuals going through divorce and property division. She provides clients with extensive data showing the financial effect of any given divorce settlement and helps them to determine how much risk they are willing to take with their investments. As a financial advisor, Ms. Coverdale assesses the short-term and long-term effects of dividing property, and advises clients of the firm about specific tax laws that apply to divorcing couples. She analyzes pension and retirement plans and calculates the present value of pensions for purposes of equitable distribution of property. Most importantly, Ms. Coverdale assists her clients in identifying their future financial goals post-divorce, which includes determination of earning capabilities, establishing assumptions for projecting inflation and rates of return, collecting financial and expense data and determination whether the client can afford the marital home, and if not, what he/she can afford. In cases of divorcing clients with children, she helps her clients to determine what expenses they should anticipate while dividing the property, in terms of their children's educational expenses and its impact on their retirement objectives and the lifestyle they anticipate after divorce. Katherine Coverdale has been selected to the 2015 Pennsylvania Rising Stars list. Each year no more than 2.5 percent of the lawyers in the state are selected by the research team at Super Lawyers to receive this honor. Ms. Coverdale is a Certified Divorce Financial Analyst. She holds LL.M. Master of Laws in Taxation Degree from the Executive LLM Tax Program at NYU Law School, which is ranked first in the country for tax law. By all accounts, attorney Kevin Zlock is best known for his proven track record of successfully litigating custody cases. While it is always his intent to settle custody issues outside of court, in a way that is in the best interests of the children, he is without a doubt a talented and tenacious litigator who is meticulously prepared for Court. He knows what his client's objectives are in each custody situation, and he helps the client meet those objectives. He spends hours to prepare his clients and put them at ease before testifying in Court. He goes through evidence in great detail to ensure that the case is adequately prepared for presentation in Court, and he excels in Court as a result. Brian A. Coverdale has been working with the firm since 2010 and currently is a partner with the firm, practicing in both Pennsylvania and New Jersey. Born and raised in Doylestown, Brian has deep ties to Bucks County and the surrounding areas. A staunch advocate of his client's rights, Brian is prepared to represent his client's interests to the maximum extent possible. Brian takes a customized approach to handling all of his cases and formulates a targeted legal strategy to fit each client's individual needs. With his family law clients, Brian takes a pragmatic approach to help his clients reach the best result possible, without paying unnecessary legal fees. By way of this approach, Brian ensures that each client maximizes his or her equitable share of the marital estate and is awarded his or her well-deserved custodial rights as parents. In terms of recent accomplishments, attorney Brian Coverdale won a Pennsylvania Superior Court appeal resulting in the reversal and remand of a trial court child custody decision in Bucks County Court of Common Pleas. In this appeal Brian successfully proved that the trial court made errors in its application of custody law and abused its discretion in awarding sole legal and physical custody of a minor child to one parent. Brian Coverdale overcame a very difficult burden of proof, and very few attorneys in Bucks County, if any, can state that they have successfully overturned a trial court decision in a child custody case given the weight of discretion allowed to a Family Court Judge. Brian received his J.D. degree from the Widener University School of Law. While in law school, Brian was a member of the trial advocacy honor society and served as a certified legal intern with the Bucks County District Attorney's office. While working at the District Attorney's office, Brian was the sole Commonwealth of Pennsylvania representative in over 100 Preliminary Hearings, with over 300 charges held for trial. For his performance at the District Attorney's office, Brian was the recipient of the John A. Wagner, Jr. Memorial Award and a Certificate of Appreciation from District Attorney David W. Heckler for excellence in prosecution. Family Law Attorneys and Divorce Lawyers of Zlock & Coverdale, PC are well known for quality legal representation and excellent service, combined with unparalleled knowledge and experience in family law matters such as in divorce, child and spousal support, custody and equitable distribution, pre-nuptial agreements and grandparents' rights. They are experienced litigators ably handling cases where their clients are best served in bringing their matters to court. Whether or not your case will end up in court, Family Law Attorneys and Divorce Lawyers of Zlock & Coverdale, PC will assist you in making a sound decision on the best way to handle your life changing family law matters. Yes, they are, and we do have clients who come to see us for just a support or custody issue. We have three attorneys, and they work on most of the cases together but on the different aspects of the case. We always tell clients if there is a particular aspect of their case where they have an opportunity to save on legal fees by putting documentation together themselves, attending support/custody conferences without counsel if possible, etc. We also delegate work to the paralegals whenever possible, as that saves the client the higher attorney's fees. The type of law our firm practices generally does not result in the use of mediation, arbitration or collaborative law. However, some of our clients use our counsel in preparing for mediation of their divorces cases, and in most counties in which we practice, a form of mediation is the first step in custody and support disputes. Yes, we do. We offer free legal services to veterans and first responders. We are very active in our community. Attorney Kevin Zlock recently established The Kevin Zlock Veterans Family Endowment of $100,000 to assist veterans and their families in their pursuit of educational opportunities at the Bucks County Community College. Our attorneys are very thorough and very prepared when they speak to clients and when they go to Court. We do care very much for our clients and that is why many of them have become our friends. We believe that clients can benefit to a certain extent by educating themselves on legal issues. A client's knowledge of legal issues can facilitate more in-depth and productive discussions with his/her counsel, and some clients feel better knowing that they have done research on their own, if only for purposes of learning as much as possible regarding their particular case. However, clients must be careful when selecting the resources for their education, as online resources in particular may not be accurate or may not give explanations that are detailed or comprehensive enough to accurately portray the state of the law on any given subject. Additionally, one cannot be careful enough when it comes to handling complex family law issues in Court, and certain matters should be handled only by professional attorneys. Of course we are willing to review documents prepared by clients and offer our insight and propose suggestions for revisions. However, the review process may bring out sufficient issues that redrafting the documents is necessary and preferable to editing the documents to an extensive degree. For instance, the clients may be using outdated forms, or the forms they selected do not apply to their particular situation. We certainly do not want to upset clients, because they spent a lot of time preparing the forms, but the reality is that all cases are different and an analysis of any particular situation must come first, before the forms can be prepared. Our attorneys have coached clients who want to deal with the opposing party or opposing counsel directly. In most cases, the attorneys eventually assumed representation of those clients, simply because self-representation became too complex, burdensome and/or ineffective. Bucks County Family Law and Divorce Attorney Kevin Zlock celebrates the 25th anniversary of a very successful career as one of the top family law attorneys in Bucks County, Pennsylvania. 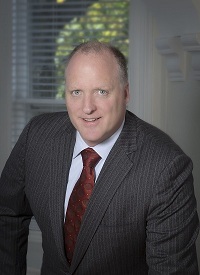 Kevin is a founding partner of Zlock & Coverdale, PC. The firm has offices in Langhorne-Newtown, PA and Doylestown, PA.
Kevin received his J.D. degree from the Dickinson School of Law at Pennsylvania State University in 1990. Previously, he received an undergraduate degree in History from Lehigh University. Kevin's practice focuses on divorce, custody, support, and property division issues, with the goal to resolve matters outside of court, but he is ready to litigate, if necessary. His wealth of experience allows him to provide clients with an understanding of how to structure and negotiate divorce settlements and to help them to determine how they should handle their assets and investments during divorce proceedings. Kevin assesses the short-term and long-term effects of dividing property, as well as of paying or receiving child support, spousal support/APL, and alimony. He creates a road map with the client's full participation to achieve satisfying results at the end of the divorce. In order to tailor his approach to the individual client's situation, Kevin Zlock reviews his client's goals for life after divorce, which review includes determining earning potentials, projecting earnings on investments, collecting asset and expense data, and determining whether the client can assume the expenses of the marital residence, if desired, and if staying is not feasible or desired, calculating what the client can afford. In cases involving divorcing couples with children, he guides clients and assists them in determining what child-specific expenses they should anticipate when dividing the property, in terms of their children's educational expenses (before and during college), childcare expenses, etc. By all accounts, Kevin is best known for his proven track record of successfully litigating custody cases. While it is always his intent to settle custody issues outside of court, in a way that is in the best interests of the children, he is without a doubt a talented and tenacious litigator who is meticulously prepared for Court. He knows what his client's objectives are in each custody situation, and he helps the client meet those objectives. He spends hours to prepare his clients and put them at ease before testifying in Court. He goes through evidence in great detail to ensure that the case is adequately prepared for presentation in Court, and he excels in Court as a result. Kevin also is very active in the Bucks County Community, and he is a dedicated philanthropist who supports the educational pursuits of underprivileged children and veterans of past and recent wars, as well as their families. Among his most prominent initiatives is the establishment of the Kevin Zlock Veterans Family Endowment at the Bucks County Community College, which is funded for the sole purpose of assisting veterans and their families in affording the rising costs of education. In appreciation of his numerous contributions to the Bucks County Community College, the college dedicated its Performing Arts Center to Kevin and his wife, naming it the Kevin and Sima Zlock Performing Arts Center. Kevin also received two special Congressional Recognitions for his philanthropic work on behalf of the Bucks County Community College. In addition to his donations through the Bucks County Community College, Kevin has established the Zlock Family Scholarship Fund at the Princeton Day School, so that children from Bucks County, who could not have otherwise afforded the costs of education at a private school, could attend, regardless of the cost. He also established the Faculty Fund at PDS to support creating and teaching interdisciplinary courses and promote student independent research in the Upper School. Kevin has been named a top Family and Divorce Attorney in Bucks County for 2011-2015 by many local and regional publications. He earned the rank of a Preeminent Attorney on Martindale Hubbell for Client Review and has held it for a number of years. Kevin is a member of the Board of Directors of the Bucks County Bar Association and is the Chair of the Bucks County Bar Association Law Reporter. He also is a member of the American Bar and Pennsylvania Bar Associations. Ms. Coverdale joined the firm in 2009. Ms. Coverdale's practice focuses on Family Law. Ms. Coverdale received a J.D. degree from the New York University School of Law. While in law school, Ms. Coverdale was a Member of the Moot Court Board and served as the Immigration Law Competition Problem Author. She was also an Amsterdam Teaching Assistant and served as a Research Assistant to Vice Dean Barry Friedman. She received an undergraduate degree in English with distinction from Stanford University. Ms. Coverdale's practice focuses on strategy and litigation support for high net worth individuals going through divorce and property division. She provides clients with extensive data showing the financial effect of any given divorce settlement and helps them to determine how much risk they are willing to take with their investments. As a financial expert Ms. Coverdale assesses the short-term and long-term effects of dividing property, and advises clients of the firm about specific tax laws that apply to divorcing couples. She analyzes pension and retirement plans and calculates the present value of pensions for purposes of equitable distribution of property. Most importantly, Ms. Coverdale assists her clients in identifying their future financial goals post divorce which includes determination of earning capabilities, establishing assumptions for projecting inflation and rates of return, collecting financial and expense data and determination if the client can afford the marital home, and if not, what he/she can afford. In cases of divorcing clients with children she helps her clients to determine what expenses they should anticipate while dividing the property in terms of their children educational expenses and its impact on their retirement objectives and the lifestyle they anticipate after divorce. 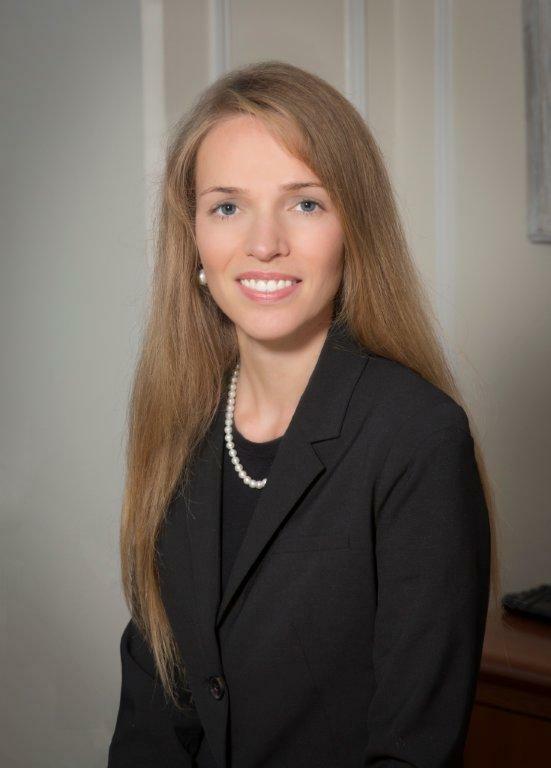 Katherine Coverdale has been selected to the 2015 Pennsylvania Rising Stars list. Each year no more than 2.5 percent of the lawyers in the state are selected by the research team at Super Lawyers to receive this honor. Ms. Coverdale is a Certified Divorce Financial Analyst. She holds LL.M. Master of Laws in Taxation Degree from the Executive LLM Tax Program at NYU Law School, which is ranked first in the country for tax law. She is a member of the American Bar Association, Pennsylvania Bar Association and the Bucks County Bar Association. 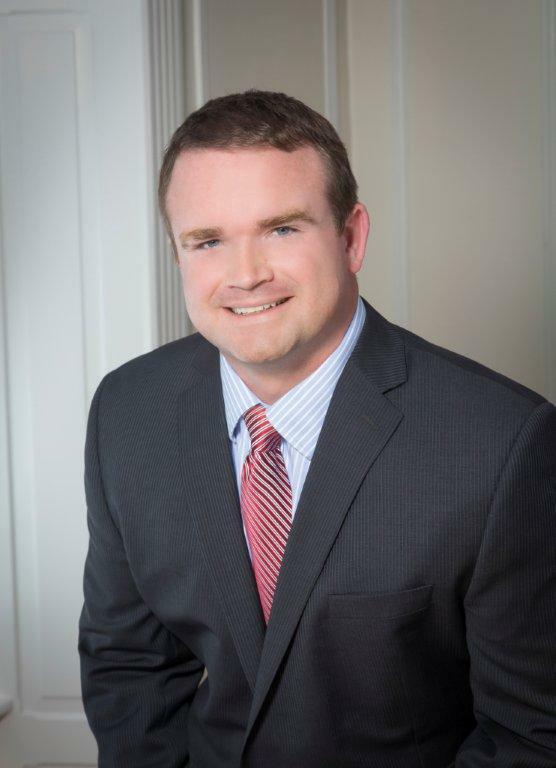 Born and raised in Doylestown, Brian A. Coverdale has deep ties to Bucks County and surrounding areas and is prepared represent his client's interests to the maximum extent possible. Brian takes a customized approach to handling all of his cases and formulates the legal strategy to fit each client's individual needs. With his vast industry experience Brian is well equipped to take on any personal injury case and specializes in trucking accidents. Brian spent five years as an executive of a national trucking company Penske Logistics and another five years of his career with General Motors before starting his career in law. With this experience, he knows more information about the inside strategies to defend against accident plaintiffs than any other attorney. With his family law clients Brian takes on a pragmatic approach to help his clients reach the best result possible without paying unnecessary legal fees. Through this approach Brian ensures that each client maximizes their equitable share of the marital estate and is awarded their well-deserved custodial rights as parents. In addition, Mr. Coverdale is certified by the Institute of Divorce Financial Analysts as a Certified Divorce Financial Analyst (CDFA). This certification denotes Brian as highly proficient in the area of financial matters regarding family law. Budgeting After Divorce: What Should I Expect?